If you have bad photos or you rely heavily on crappy stock images, it can really turn off your end-users. We’re pretty terrible at the art photography, but, we’ve learnt a lot about the best way to present your photographs on your website. 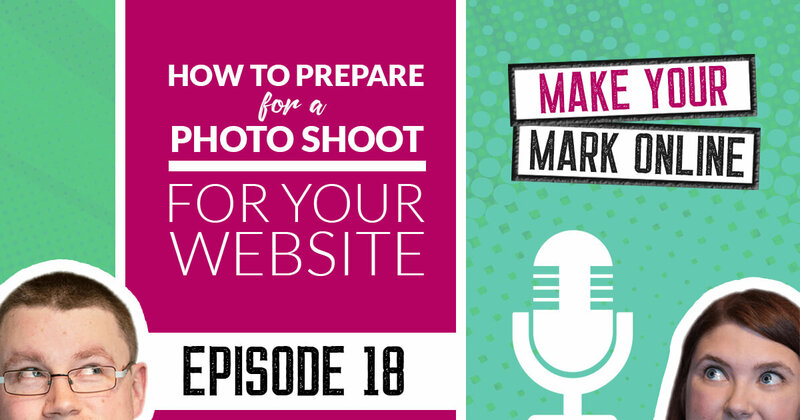 In this episode, we’ll tell you how to prepare for your website photoshoot. It doesn’t matter if you’re paying for a professional or getting a friend to help, by following these tips you’ll get the most out of your photography. Do you really need a photoshoot for your website? 4.49 – What kind of images do you need on your website? 5.15 – What kind of testimonial should you be looking for? 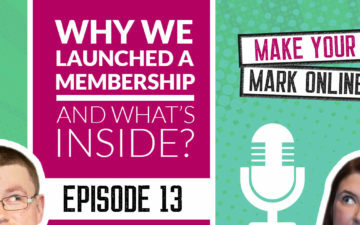 Welcome to episode 18 of the Make Your Mark Online podcast. 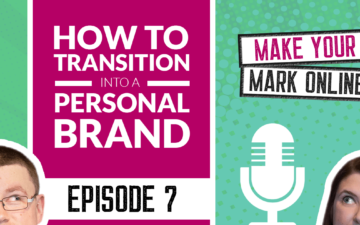 Today, we’re going to be talking about personal brand photography for your website, but before we get into the show, this podcast is sponsored by the Make Your Mark Online Membership. This is our signature membership community where we help personal brands build and grow a successful business website. The doors for the membership are currently closed, but you can check out the details at makeyourmarkonline.net where you can sign up to the wait list, and we’ll let you know as soon as the doors open again in January. So let’s get into the show. So Lyndsay, I’ve had a bit of break last week. I was traveling, wasn’t I? You were, yeah. You left me all on my own. It was great. No, I’m joking. Yeah I was traveling up and down the country, up to Edinburgh and then down to London. I was very jealous but I did have the remote and that’s always good. Yeah, you’ve always got the remote, I don’t know what you’re talking about. But yeah so we’re back on with it this week and we’ve got some great episodes ahead. And yeah we can’t wait to get into it. … Let’s be honest, you’re a terrible photographer. There’s no nice way of putting it. That hurts my feelings, Martin. I know but you say it yourself. I mean it’s yeah … it’s an interesting topic for you is what I would say. You’re the kind of person to take a picture of the sun. And like this is going to work out phenomenally well. I just chop peoples heads off. Yeah, no everyone was headless in a photograph of mine. But I do know the value of good photography. You do, I’ll give you that. Especially for your website, yeah. We’ve done a few photo shoots ourselves and I think we’ve picked up on some tips along the way. So this is definitely sort of a beginners guide to photography from the point of view of someone who’s terrible at photography. Yeah that’s great. Okay but is it always necessary … do we all need to kind of have a professional photo shoot for our website? I mean we’re not all models. Believe it or not, me and Martin are not models. I know, cheesy as ever. And I get that and we’re quite a few years into our business before we actually had a photo shoot ourselves. I’m not saying that you have to have a photo shoot straight away but you do need photographs of yourself on your website. And the best way to guarantee good phots is to book a professional photographer. We actually used our wedding photographer, didn’t we? For our business photos. We’d already had that kind of relationship, they knew us quite well, they knew we’re quite weird so we didn’t have to reveal that to them. And it cost about £500 for half a day. Now some listeners might think that’s quite a lot but that was as I said, about 18 months ago and we used those photographs all the time, don’t we? Not just on our website and our social media, in everything that we do we use those photographs. It’s just a really handy bank of photographs that we can always refer to. So it is, if you can, worth the investment because you will continually use them in your business. Okay, so now that we know that we all need photographs, what do we need to get the best photographs for our website? Because that’s really what we’re talking about, it’s not photography in general, but it’s how to get great photos for your website. Exactly, exactly yeah so it’s really important that you actually invest some time and energy thinking about the photography on your website so it really doesn’t matter actually if you’re hiring a photographer or maybe you can’t afford a photographer. So you get a friend with a half decent camera to come and take photographs of you, we’ll just be running through our advice to get the most out of your photography. 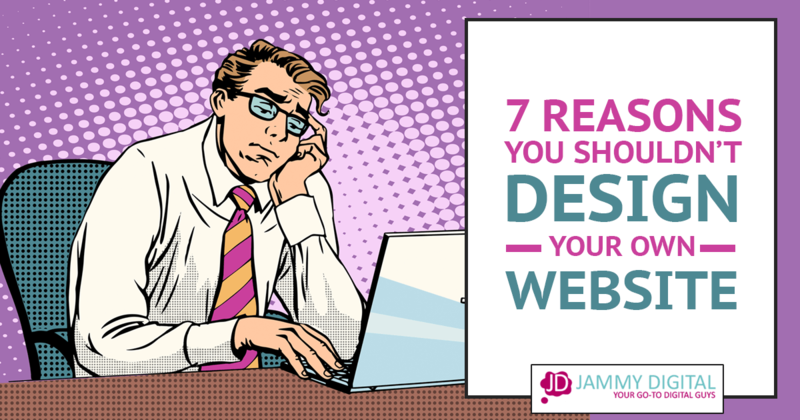 So this is really from a web designers point of view on what they kind of want to see and what would work well on your website. … No matter what your budget. Okay, perfect. So what’s the first thing that you can recommend? Well I think one really handy thing we did before we met our photographers was actually to think about the kind of images we needed on the website. So a web designer will love it if you send them a really good selection of both portrait and landscape images for your website. So it’s good to have a good mixture of both because then you can use them in different places and you’ll find that they’ll slot in in different places much better. But think about specific images too so we always talk about the hero banner which is essentially the first third of your home page. Normally that’s quite a wide image and people sometimes really struggle to fill that gap. They often want a picture of themselves and maybe some text to the left or right. So have a think about how that would work when you’re coming to your photography. So obviously you need a landscape image but it needs to be quite wide. So think about where that would be and what you want in the background and things like that. But it’s just good to have these things in mind so you’re aware of what photographs you actually need. Okay so have a look around at other websites, see how they’ve done it. Have a kind of mental note of the kind of size of the images. If you are talking about the hero image, then understandably you kind of have to be … there’d have to be a lot space in the picture for you to place text over the top, so if you do have an image that stretches like the full 1500 pixels of your webpage, if that’s the size you’re looking at it on, then you have to think, okay well do I want to be in the middle, where’s the text going to go. Do I want to be on the left, then is the text on the right going to fit, is there enough space in the image. If it’s a picture of you next to a wall, then have you got enough image of the wall in the background, that’s really what you’re talking about. And Martin has this thing when he comes to design because he does a lot of the design of the website and I know that when people send you pictures, if they’re next to a wall you sometimes have to make more wall on Photoshop, don’t you? I literally did this yesterday. I’m practically a builder, aren’t I? Yes, where you have to cut sort of … magic cut these things but particularly if you’re doing it yourself. If you’re designing your website yourself, you might not have those skills like Martin to magic up a wall. SO yeah it’s good to actually have a think about that before you go into it. Okay that’s great. So we always recommend that people act like themselves in photographs as well and this is quite important especially because I stumbled across someone on Twitter the other day who had this great image of themself and they had a great bio. And I clicked onto the website and it looked like a completely different person. It looked like a completely different business altogether. And I think sometimes we get a little bit more personal on social media and then we link to our website it’s like okay we have to be formal again. So is this kind of what we’re talking about? Exactly yeah it’s just about showing your personality and that’s so true. People feel freer on social media I think, particularly with photographs of themselves. Which is great. It’s nice to see the business world be more personal. Exactly yes but then when you get on the websites, all of a sudden this person’s wearing a suit and they’re kind of looking very, very serious in these photographs. And I think it just doesn’t work for your brand if that’s not how you are in real life and with your clients and in your business. So if you’re quite relaxed on a day to day basis then make sure your photography reflects that. Don’t get all suited and booted if that’s not what you look like on a day to day basis, wear the kind of things that you’d normally wear and just look how you’d normally look. I’m not saying go all pajamas or anything like that but just be comfortable and be true to yourself really, definitely. If it was you, you’d be in your dressing gown on all of your images. Yes, exactly I’ve got an excuse. I don’t think anyone would buy from us if it was just a picture of me in a dressing gown. I think it’s probably worth testing out. I’m going to wear my pajamas, my Star Wars pajamas all day, see what happens when we go on a Skype call. So this actually also applies to your surroundings too. And you shouldn’t have to worry about a really professional looking set up. So we all had out our Star Wars crap, didn’t we? Mm-hmm (affirmative) yeah. I don’t know about crap. Star Wars collectibles actually. Correction. Sorry, Star Wars collection, we had out our Star Wars collection out and Harry Potter, important Harry Potter stuff as well. Unapologetically out for everyone to see. And our desks, they weren’t super tidy, were they? Lyndsey is the messy one, she absolutely is. Honest to God, you kind of have to walk on tip toes around her desk just in case you crunch something on the floor, yeah. I’m really not that bad, I’m not but yeah we did have to tidy my desk for the health of the photographers. It was important to us to do that. Yeah you don’t want to come in here and go, “What’s that smell?” That sandwich has been there three days. No, it really isn’t that bad. I’m going to make him edit this out. He’s not going to let me edit it. But the point is you do want it to be natural and give people an insight into who you are and how you work so don’t worry about hiding your Star Wars crap. No it’s nice to have a bit of personality isn’t it? Okay, so what else should we be thinking about when it comes to photography for our websites? Well one thing actually accidentally happened and I can’t take credit for it because it was a complete accident was we kind of made our own stock photos when we had our photographer come visit us. So we had a lot of stuff out, our notes, our website’s frameworks, our laptops and plants. Exactly, exactly and they made great photographs on their own. So what we ended up with was kind of like a bank of personalized stock images. Yeah so where you’d normally buy perhaps an image of a laptop on a desk, we already had that but it kind of had our twist on it because you could see all our stuff as well. And we’ve used those loads actually in all sorts of things. We’ve used them in slides and for webinars and all that kind of stuff. Yeah exactly, exactly. They are actually really, really handy. So it’s actually good to think about that in advance because you do get your own bank of stock photos which will save you money but it also makes it personalized as well, looks really professional and good. And I think another thing to think about is your location. So if you can try and think about three or four different locations of where you’d like your photographs to be taken. 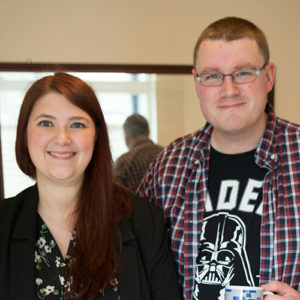 SO we had our photographs taken in different rooms in the house because we actually use different rooms within our house anyway for our business. But we also went to the beach, which was fun. We got a few weird looks. You have to be careful on Blackpool beach, there’s some questionable fol out there. … throughout the four hours. We kept getting changed and that really worked as well as the different locations. That worked really well because it kind of made it look like we had this photography going on over months of time. We had our photographer living with us like everybody does. Yeah, totally normal. And yeah so we had different outfit changes. So it looked like different days and then on your website it doesn’t get as boring, you’re always looking different. You’re in a different location wearing something different, looking different and it doesn’t get the same … kind of the photography isn’t the same all the time throughout your website so it’s always kind of interesting. And that did actually work really, really well. Yeah I think so. And I mean from my point of view, there are a few things that I would probably change next time we have a photo shoot. I don’t think we really got enough head shot type photos. I think when it came to it and we got our photos back, we’re like, I can’t believe we didn’t get any normal, regular head shots. And I know the term head shot is kind of used in different contexts sometimes but just pictures that I can use for LinkedIn, Twitter, when I’m appearing on a podcast episode by myself for instance. We had plenty of images together and we had plenty of images of me working in the office looking at my computer or on the phone and you were on a Skype call and stuff like that, which is all great but actually remember you have to think about where your images are going to go. So that’s something I probably would change. Another thing we did is we had a lot of photographs taken, we kind of wanted a lot so that we had lots to chose from. Partly because we’re not experts in photography so when we’re planning all of the different ideas that we have, some of them are not going to be great ideas, some of them are going to be really bad. Some of them really didn’t work. I remember getting some balloons at some point. Yeah what was that about? I’m just like, “Yeah, you want some balloons? Yeah we’ll see how that goes. I don’t know, we’ll give it a go.” And we had some umbrellas at some point. We did yeah. I just wanted to make you look as stupid as possible really on Blackpool beach. … do kind of look back on it and I think that’s what it has to be. It has to be a bit of an experience and if you’ve got a great photographer or a great friend who makes you laugh, makes you smile, makes you feel comfortable, then that’s going to come across in the photographs as well so yeah we had a great time. I’m looking forward to the next one. I kind of want to book another one now that we’re talking it. I know, I do as well. I do. Not now, let’s wait until you’ve had the baby, shall we? I mean there’s no judgment, I’m just assuming that’s how you think. Did you hear that listeners? You heard it here. I am slightly humongous right now. Next photo shoot we might actually have a little boy in the photographs. Yeah we might have him in the photographs. Dressed up as Darth Vader, absolutely. And that’s it on that note. So yeah great tips there. I think you’re going to find this pretty helpful. I wish that we’d had something like this to listen to when we were preparing for our photo shoot. So yeah let us know if you have a photo shoot, send us your images. We want to see what you’ve done and yeah don’t take any balloons. So I hope you found this episode useful. I know lots of our listeners are looking to have a photo shoot so hopefully this should help. If you didn’t already know we have a free Facebook group. If you go to jammydigital.com/facebook and we will let you join the group. We do training, we do free website critiques and we’d love to help you get better results from your website as well so feel free to join and say hello. So that’s it for today’s episode, we’ll see you next time on the Make Your Mark Online Podcast.